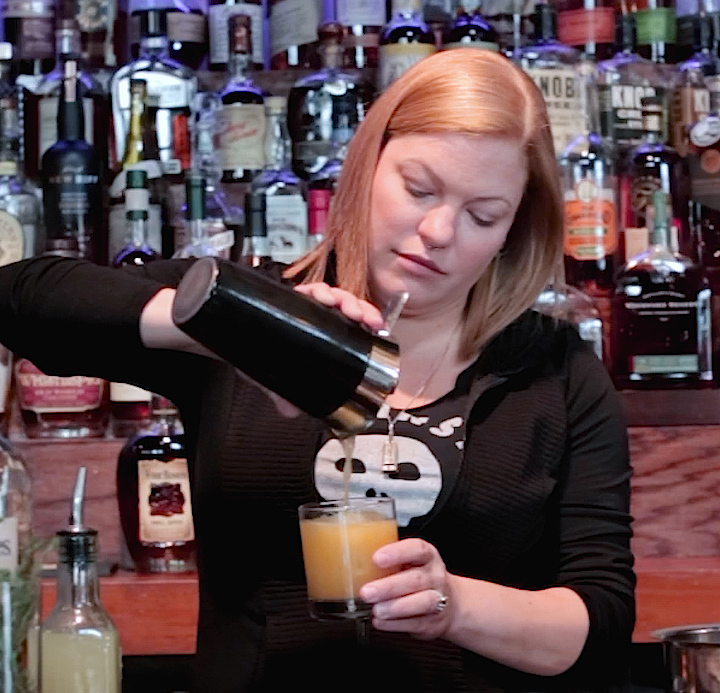 Meet award-winning mixologist Trisha Torpey from Against the Grain in Louisville, Kentucky. We sat down with Trisha to learn more about her background in bartending and tricks of the trade. How long have you been with Against the Grain? I’ve been with Against the Grain for three years. My parents owned a bar when I was younger, so I guess you can say that bartending is in my blood. When I was 22-years-old, I had a friend ask if I could help out behind the bar one night. I never looked back. An Old Fashioned, because of the time and finesse that it requires. Anything that you can batch, so that you can enjoy the company, instead of making drinks all night. If you could make a cocktail for anyone, who would it be and what would you make for them? I’ve recently discovered Japanese-style jiggers and I love them so much. What would you say are some of the most important ingredients, or staples, to have on-hand when bartending? House made sour mix, demerara syrup and fresh herbs. How do you typically drink Four Roses? In a rocks glass with one ice cube. It doesn’t really need much more.